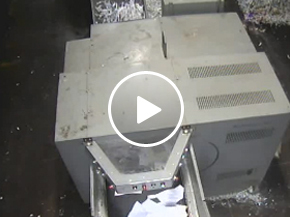 Why should Cutting Edge Document Destruction shred and recycle your electronics? Computers and monitors are among the most toxic electronic devices. They often contain lead, mercury, and other toxins. When these components are disposed of improperly, these toxins are leaked into the surrounding environment. Local water supplies and the land around the waste then become poisoned. Before you dispose of large quantities of computers, monitors, or other electronics devices consider what effects it may have on the environment. 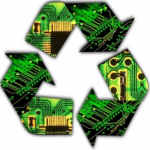 Help protect the environment and let Cutting Edge recycle your electronics. Your hard drives and computers contain precious information. Even after your computer and hard drives appear to no longer function, that precious information can continue to be accessed. Some companies offer to recycle your hard drives and computers claim to do a total hard drive and memory wipe. Most of the time these companies just dismantle you computer equipment and ship the parts to third world countries for disposal. Disposing of electronic devices in this way leaves your information vulnerable to data mining, a practice of extracting personal information from discarded electronic devices. These numbers include social security numbers, credit card numbers, phone numbers, and driver’s license numbers. Often, this information falls into the hands of criminals who make their living reselling it on the black market. As more and more computer systems become upgraded and older computer equipment is thrown out you company can become more vulnerable to identity theft and information piracy. Only the proper destruction and recycling of your outdated electronics can completely protect the privacy of your business. Cutting Edge Document Destruction is the most complete resource for electronics destruction and recycling. Cutting Edge Document Destruction is not NAID AAA Certified for this offering but does subcontract this work with a NAID AAA Certified partner.